"Prophecy Update: Tools of the Antichrist: Mass Surveillance"
In this week's Prophecy Update with Pastor Tom Hughes we look at the Chinese Social Credit System. The Chinese government has blocked more than 5,000,000 people from traveling freely because of "dissident" thoughts and actions. China is implementing the largest mass surveillance system in the world right now. They are projected to have more than 200,000,000 cameras in line by 2020. Will this system pave the way for the final surveillance system that the antichrist use? Will more countries start using a similar system? Find out as Pastor Tom Hughes looks at the Chinese Social Credit System and compares it to what the Bible says about what is coming. 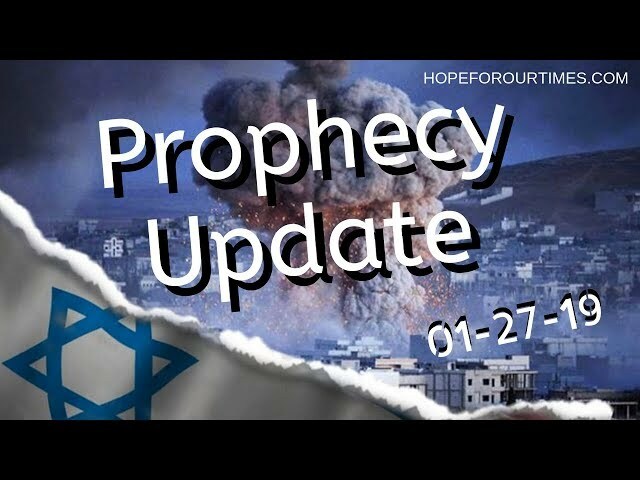 "Prophecy Update: Flashpoint Golan: The Final Piece of the Middle East?" Is the Golan Heights the final piece in the Middle East? Does President Trump's announcement that Golan belongs to Israel have prophetic implications? We have entered an incredible time regarding the nation of Israel. In 2018, the President of the United States moved the embassy from Tel Aviv to Jerusalem. And now, the president has recognized Israel’s sovereignty over the Golan Heights. This is huge. The controversial move and its aftermath tell us a great deal about how the stage is being set for the final events of this age. Join Pastor Tom Hughes as he compares the events of today with the Bible! 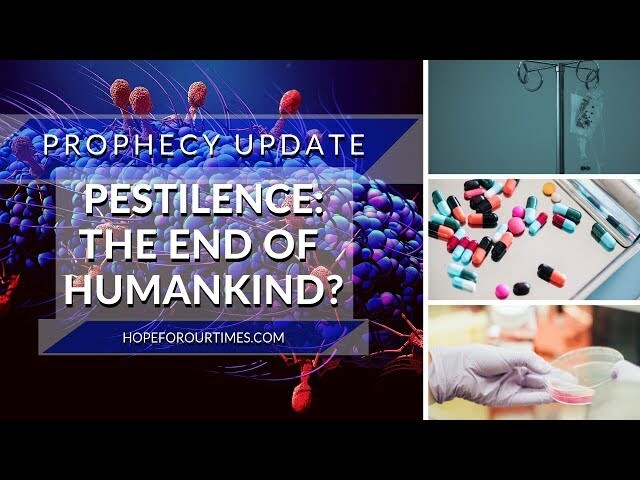 "Prophecy Update: Five Signs That These Are the Last Days"
In this week's Prophecy Update from Pastor Tom Hughes we look at five signs that these are the last days. Do you believe what you’re seeing? According to University of Sydney anthropologist, Stephen Juan, “denial is a defense mechanism in which a person, faced with a painful fact, rejects the reality of that fact. They will insist that the fact is not true despite what may be overwhelming and irrefutable evidence.” Today, much of the world is in denial. Civilization has deteriorated to dangerous and frightening levels. And most people refuse to acknowledge the obvious and terrifying implications of what is soon coming. But in the midst of this mess, there is some very good news. "Prophecy Update: The Green New Deal"
In this week's Prophecy Update Pastor Tom Hughes looks at the "Green New Deal" and it's implications on the times we are living. As the Venezuelan humanitarian disaster hit new lows earlier this week, some Americans seemed more determined than ever to follow that ill-fated nation into the realm of socialism. As the Caracas blackout reached its fourth day, US Socialist Alexandria Ocasio-Cortez expounded on the evils of capitalism. And her following is growing by the day! The prophetic implications of all this are profound. Does the New Green Deal have anything to do with Bible Prophecy? Will Socialism win in the United States? Is the US doomed to follow the many failed socialist experiments? Find out in this week's Prophecy Update with Pastor Tom Hughes. 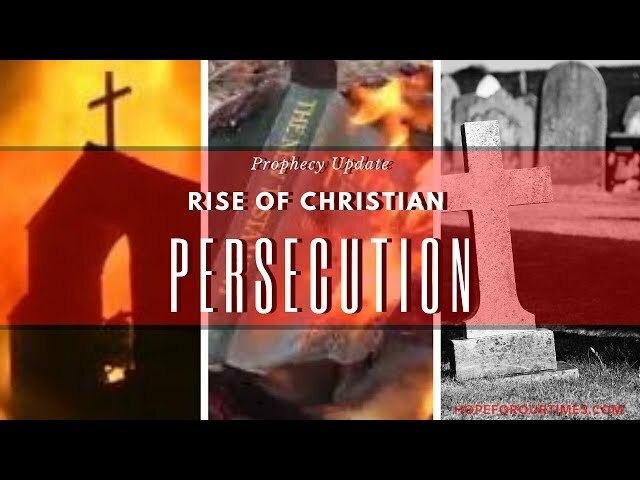 "Prophecy Update: Rise of Christian Persecution"
Consider that Jesus talked about the persecution of Christians in two ways — one as an ongoing, always-there reality, and the other as something that would grow worse as His return drew near. It seems like we are very very close to His Return!! The world right now is unsettled and unsettling. Whether it’s the self-destruction of Venezuela, the breakdown of nuclear talks between the US and North Korea, or the potential for nuclear war between India and Pakistan — the systems of this world seem to be breaking down. The good news is that it is breaking along lines prophesied in the Bible for the end times. 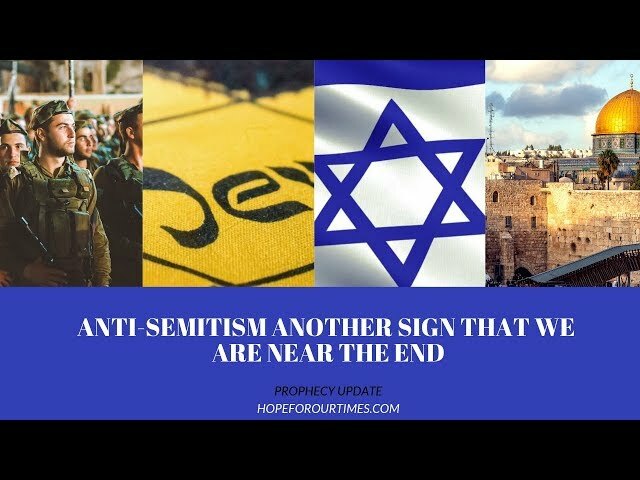 "Prophecy Update: Anti-Semitism Another Sign That We Are Near the End"
The Bible speaks of a day when the nations of the earth will all be clamoring at Israel’s gates, demanding blood. That doesn’t happen until a period known as the Great Tribulation, very near the point where Jesus returns to the earth in glory to rule and to reign a thousand years. It’s not here yet, but it’s coming. And if the headlines of the last few days are any indication, it may be much sooner than you think. Is anti-Semitism rising? Is anti-Semitism a sign that we are living in the last days? What does anti-Zionism have to do with anti-Semitism? Can you be an anti-Zionist and a Christian? Find out in this week's Prophecy Update with Pastor Tom Hughes. 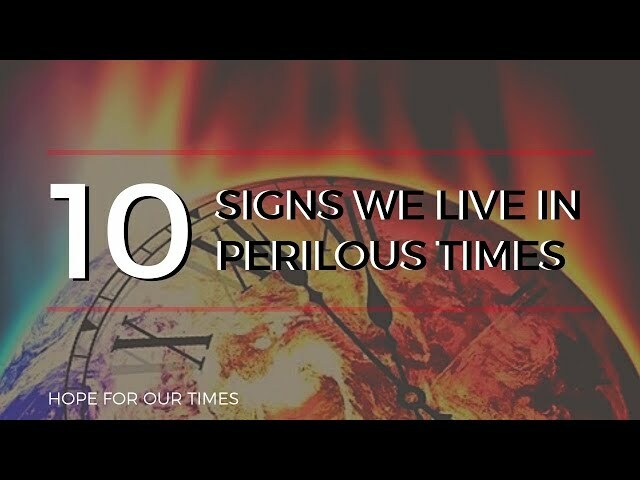 "Prophecy Update: 10 Signs We Live in Perilous Times"
The Bible says, “In the last days perilous times will come.” On today’s Prophecy Update, Pastor Tom will take a look at ten signs of perilous times pulled from our current headlines. What do these things have to do with the end-times? Find out as Pastor Tom presents articles ripped from today's headlines! Will you be affected? Find out in this week's Prophecy Update. Seattle — A state of emergency has been declared for Washington state after a major measles outbreak there. San Diego — E. Coli has been discovered in Lake Morena Drinking Water. Residents warned to boil water before drinking … Los Angeles — Health officials warn that the Typhus epidemic there is worsening. Rats are running through city hall carrying the fleas that transmit the disease. And the skid row has now been declared a “Typhus Zone”… New Mexico — Legionnaires’ Disease breaks out at a Border Patrol facility near Antelope Wells. Jesus said the time leading up to his return would be a time of pestilence. The sampling of stories I just gave you isn’t even the tip of the iceberg. And the earth — or Planet Titanic — is sailing headlong into the middle of it! Does this rise of pestilence mean that humankind is doomed? Is there any HOPE? Find out in this week's Prophecy Update with Pastor Tom Hughes of Hope For Our Times. The disaster in Venezuela continues. The heartbreak is overwhelming. But it is the kind of thing we should expect as we get closer to the return of Jesus. 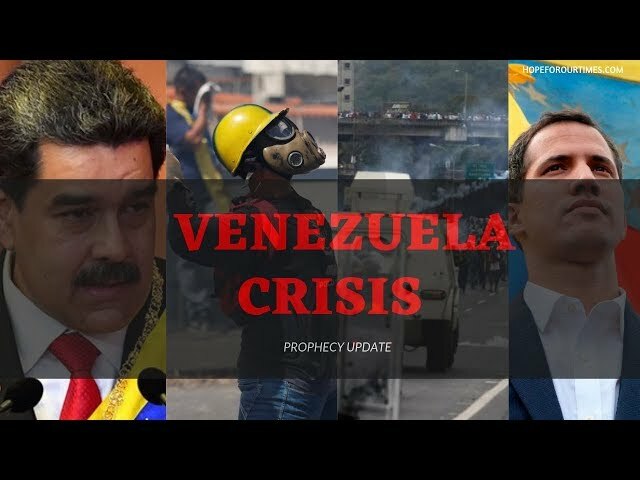 Is the meltdown in Venezuela opening the door for the antichrist? Will people be willing to accept a one world leader because they don't want a repeat of the tragic meltdown happening in Venezuela? Are we seeing the bible play out before our eyes, will a loaf of bread cost a days wages? With the inflation rate over 1,000,000 percent in Venezuela people are looking for anyone to save them! In this week's Prophecy Update Pastor Tom Hughes looks at these questions and helps connect them to the prophetic Word of God. 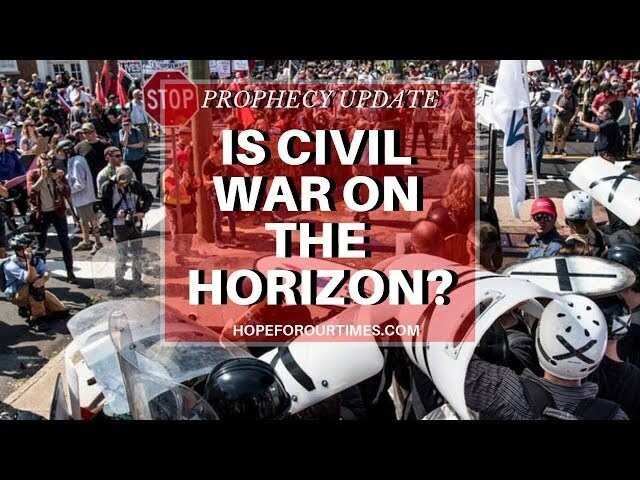 "Prophecy Update: Is Civil War on the Horizon?" The Bible gives two signs of the end times that, at first glance, seem contradictory. Bible Prophecy tells us that as the end of the age approaches, people group will rise up against people group. This leads to things like “identity politics” and tribalism. But it also says the world of that day will unite politically and spiritually behind the Antichrist. It sounds like a contradiction… until you realize that both things are happening right now before our eyes. Is civil war on the horizon? Will the rise of the antichrist do away with civil war? Will the antichrist bring about lasting peace? Is globalism a bad thing? Is nationalism a bad thing? Find out in this week's Prophecy Update with Pastor Tom Hughes. Pastor Tom Hughes of 412 Church in San Jacinto, California, reviews the events of the world today and highlights the biblical aspects and what believers should be watching for in the end times. He has been in pastoral ministry for over sixteen years. Prior to his pastoral calling, he became passionate and called to study Bible Prophecy. For several years Pastor Tom has been teaching a weekly Bible Prophecy study on Sunday evenings in his home church. He has become recognized as a peer to many of the well-known prophecy teachers and has appeared on many TV, Radio, and Internet Programs, including His Channel, Shalom International, Prophecy Watchers and Pastors Perspective. Having spoken at several Prophecy conferences, he is both humbled and honored to help the church connect the dots in End Times events.